In a few short appointments, veneers can change the overall appearance of your smile. Placing porcelain veneers is a very demanding art form of cosmetic dentistry, with beautiful results when they are done by a prosthodontic specialist at Aesthetic & Implant Dentistry of Atlanta. By using porcelain veneers, we can simultaneously change the shape, color, size and alignment of your teeth during the course of one or two appointments. Veneers are thin laminates, often made of porcelain, which fit exactly over the front surfaces of your teeth. Porcelain veneers have the ability to completely mask unattractive stains, chips or spaces. Properly crafted at Aesthetic & Implant Dentistry of Atlanta by a certified prosthodontist, your veneers will look totally natural. 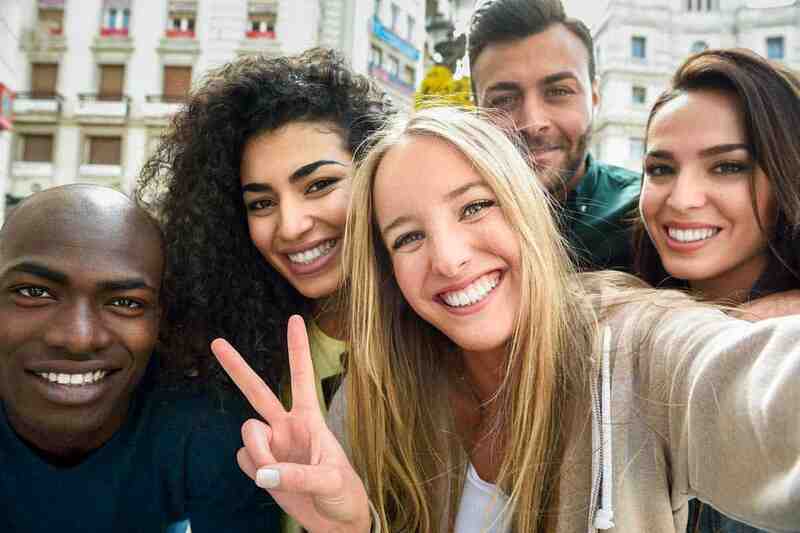 We create smiles that look and feel “real.” Using the latest technology, our prosthodontists create veneers that avoid dental perfection, or the “super white,” fake look. Some veneers are so bright and white, they look unnatural with the patient’s natural skin tone. We create veneers that suit your perfect smile with a soft, natural look. At Aesthetic & Implant Dentistry of Atlanta, we go beyond the expected, taking the time to consider your unique smile, face and skin tone. Our patients are thrilled with their teeth that look “real.” The difference is in the details. Not everyone looks good with blazing bright teeth because natural teeth were not meant to look like that. Our skilled prosthodontists have an eye for aesthetics. They have the training and skill to create porcelain veneers that will bring out the beauty of your smile while looking like the teeth you were meant to have. Mask those unsightly blemishes that are ruining your smile with a new set of porcelain veneers. Contact Aesthetic & Implant Dentistry today to schedule your appointment for a consultation with one of our skilled prosthodontists. We will help you acquire your best smile. That's right! Very little tooth surface is removed in our unique procedure. Most patients do not even wear "temporaries," as we custom make your new veneers. Your new dental veneers with by thin and a perfect choice of natural tooth color. Gradations from top to bottom, just like natural teeth. We'll have you smiling bright in 3 office visits! Quick, painless and professional. Most patients are amazed at the benefits of dental veneers. Get a Stunning New Smile! 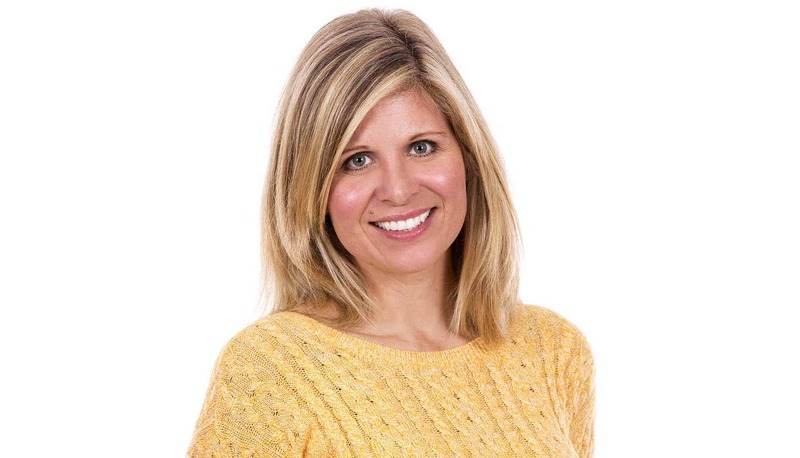 At Aesthetic & Implant Dentistry of Atlanta our practice revolves around tooth restoration. We are a specialty practice creating stunning smiles for Atlantans for over 35 years. You can rest assured that your dental veneers will give you the opportunity to smile with confidence. Porcelain dental veneers are one of the most effective and aesthetically gratifying remedies for teeth that are chipped, stained, or even misaligned. With modern technology and dental materials, porcelain dental veneers have become on of the most common procedure incorporated in smile makeovers. They are also an option for patients that are simply looking to have a gorgeous smile. Dr. David Zelby a prosthodontist and cosmetic dentist can correct a range of dental issues with this popular treatment and achieve a natural-looking solution to common problems affecting the appearance and function of your teeth. During the consultation process our doctors will review your personal cosmetic goals and recommend a treatment plan that can address your needs. With our innovative 3D imaging technology each patient can view a dynamic digital image of their teeth and gums, allowing a comprehensive understanding of the treatment approach. This technology also facilitates doctor-patient communication and can ultimately lead to well-informed treatment decisions and a more satisfying final outcome. To learn more about dental veneers in Atlanta, Georgia or to schedule an appointment with our experienced prosthodontists and cosmetic dentists, please call Aesthetic & Implant Dentistry of Atlanta today. Located in the Cobb Galleria Office Complex, our cosmetic dentists welcome patients from all areas of Atlanta along with surrounding communities such as Smryna, Vinings, Marietta, East Cobb, Sandy Springs and Buckhead. How do you care for your new porcelain veneers? What should I look for when choosing a dentist for my porcelain veneers? When considering a dentist for your new dental veneers you should look for someone who is a specialist in restorative dentistry, a prosthodontist. A prosthodontist is a “true cosmetic dentist,” with a greater of level of education and expertise in restoring teeth. No, the procedure is not considered painful. Patients can experience some sensitivity when the tooth is being prepared. Porcelain dental veneers can be applied with a local anesthetic or sedation dentistry for those who experience dental anxiety. Most of our patients report no discomfort during their procedure. During the consultation process our doctors will review your personal cosmetic goals and recommend a treatment plan that can address your needs. 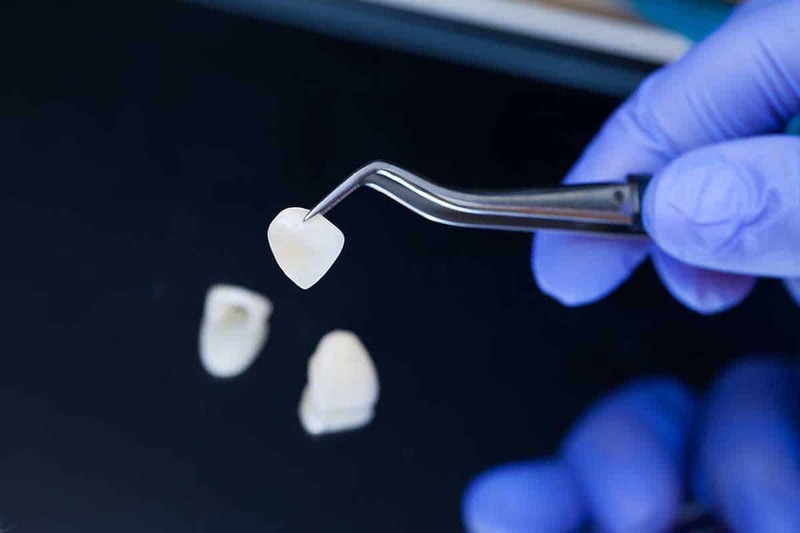 With our innovative 3D imaging technology, each patient can view a dynamic digital image of their teeth and gums, allowing a comprehensive understanding of the treatment approach. This technology also facilitates doctor-patient communication and can ultimately lead to well-informed treatment decisions and a more satisfying final outcome. That's right, in only three visits you can be on your way to a new smile. The porcelain veneer procedure is one of the most popular cosmetic dentistry treatments and is virtually painless. Dental veneers are small, razor-thin, custom-made covers for your teeth. They are created carefully in a shade chosen to match your teeth, or in a new, brighter shade if your teeth had became discolored over the years. 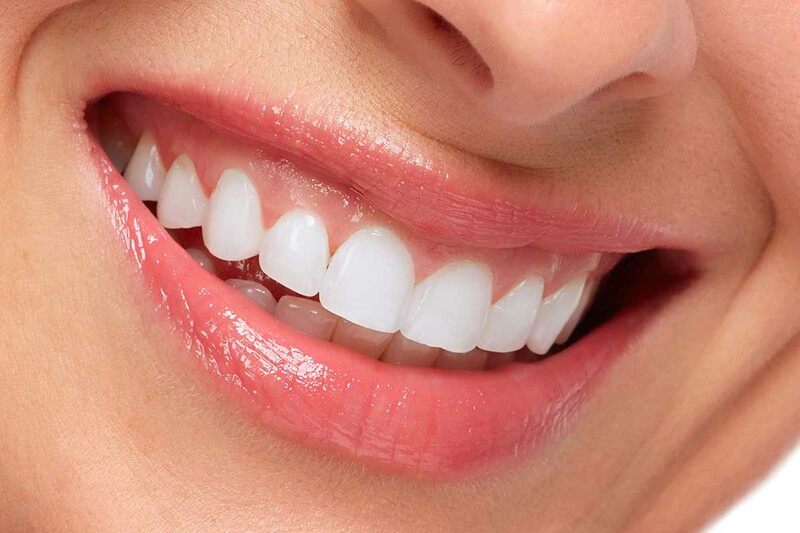 Our prosthodontist can custom-fit these slim, durable dental veneers to the desired teeth, with results that both look amazing and feel natural. We utilize the latest in technology, 3-D imaging, and composite materials that are tested for strength and durability. Composite materials have come a long way in recent years providing our ceramicist with products that can create the most natural looking veneers available. With advancements in dentistry and dental materials, a trained and experienced cosmetic dentist and prosthodontist can keep almost all the natural tooth structure while still creating a picture perfect, natural looking smile. If you are looking to correct major or even minor dental imperfections, porcelain veneers can be a great option. Certain things we eat and drink, as well as decay, periodontal disease, dental injuries and the natural aging process all have a negative impact on our teeth. Chips, cracks, misalignment, gaps between teeth, aged and worn teeth are all imperfections that are easily corrected with porcelain veneers. Results can often last decades and most people won't even know you have dental veneers unless you tell them! We have seen first hand how patients who have corrected their smileshave heightened their self-esteem and increased their confidence. Porcelain dental veneers look and feel just like natural teeth. We custom design your dental veneers with shade gradations from top to bottom, never too large and opaque. Porcelain veneers are composed of a durable, high-quality ceramic that can be matched to the shade of your surrounding teeth for a seamless, natural look. This common cosmetic dentistry procedure uses veneers that can be individually customized for your teeth, achieving the best possible fit as well as a beautiful appearance. The hand-layered porcelain has a dynamic quality that catches light just like the enamel of a natural tooth. Porcelain veneers are often considered a minimal-prep procedure, preserving the majority of your existing tooth structure while achieving long-lasting smile rejuvenation. Porcelain veneers are more durable and less likely to stain than veneers made of composite materials. Zirconia porcelain veneers are often ideal for patients who have teeth that are more severely damaged or decayed. These restorations can be stronger than traditional porcelain veneers, and offer a compromised tooth some structural reinforcement. Our cosmetic dentists commonly use Zirconia veneers for the back teeth, where the added strength of the material can prevent premature wear. In addition, due to the material’s extreme durability, Zirconia can be used to creates dental crowns and dental implant restorations. You’ve probably heard about a specific brand of porcelain veneers called Lumineers®. Many cosmetic dentist use this brand name of veneers. Here at Aesthetic & Implant Dentistry of Atlanta we custom craft our own veneers as we can work directly with our ceramicist and maintain control of the quality of our product and unique formation to fit perfectly over your prepared tooth surface. We are prosthodontists, specialists in restorative dentistry and prefer total control of the quality and customization of our dental veneers. Depending on your unique needs, the Lumineers® procedure is an extremely conservative restoration treatment that requires either minimal tooth preparation or no tooth preparation at all. They are ultra thin, just like our custom crafted porcelain veneers. Lumineers® are composed of Cerinate® ceramic – an ultra-thin material that can typically be placed without the use of drilling or injections. Dental Veneers are amazingly easy to care for. They can last for years and require no “adjustments.” Just as usual, we recommend biannual visits to examine your teeth and gums. We look for any issues before they occur both for your dental veneers and your overall oral health. We will examine your veneers, the underlying tooth enamel and all adjacent teeth to help ensure lasting oral health and beauty. Taking care of veneers is just like taking care of your natural teeth. Brushing after every meal and flossing once or twice a day will keep your veneers bright and attractive while preventing decay from forming underneath or in your adjacent teeth.  Each porcelain veneers procedure is customized to meet the unique needs of the patient, the price will vary from case to case. The final cost is calculated using a number of variables, including the number of veneers, type of veneers, and veneer placement. During the consultation process our dentist will perform an oral exam, discuss your cosmetic goals, design a custom treatment plan, and provide you with a precise quote for the procedure. Good candidates for porcelain veneers have healthy teeth and gums, and Dr. David Zelby and Dr. Aundrea Eady may recommend a procedure to improve dental health beforehand if necessary. Your treatment care coordinator will go over pricing based on your unique treatment plan and assist you in applying for financing if necessary. As a rule of thumb, dental veneers will cost from $1,800 to $2,800 per tooth. We realize that may cause “sticker shock,” for some but, your procedure will be performed by a team of specialists with over 35 years of experience. Though you may be able to find a cosmetic dentist who will perform the porcelain veneers procedure at a reduced cost, choosing a less experienced dentist can lead to poor results or costly complications in the future. Our dentist are specialist, prosthodontists, with 3 years of extra dental training in restorative and cosmetic dentistry. Prosthodontics is the only speciality recognized by the American Dental Association® as true specialist in restorative dentistry. We have a history in Atlanta as providers of quality dentistry with a high level of expertise. We’ve treated thousands of Atlantans, just like you in our 35 year career. Most of our patients consider porcelain veneers an investment in their oral health and beauty, and our office offers a number of payment options that can offer low monthly payments with low to no interest financing. Partner companies such as CareCredit® and Wells Fargo Patient Financing® can help patients find a financing option that fits comfortably within their budget. We also accept all major credit cards at our office for your convenience.